With our reputation in property investment marketing and with our ever growing collection of bespoke investment portfolios under our belt, we were exclusively appointed by the Morgan Williams investment team to create and produce a full marketing campaign for the prestigious investment opportunity. 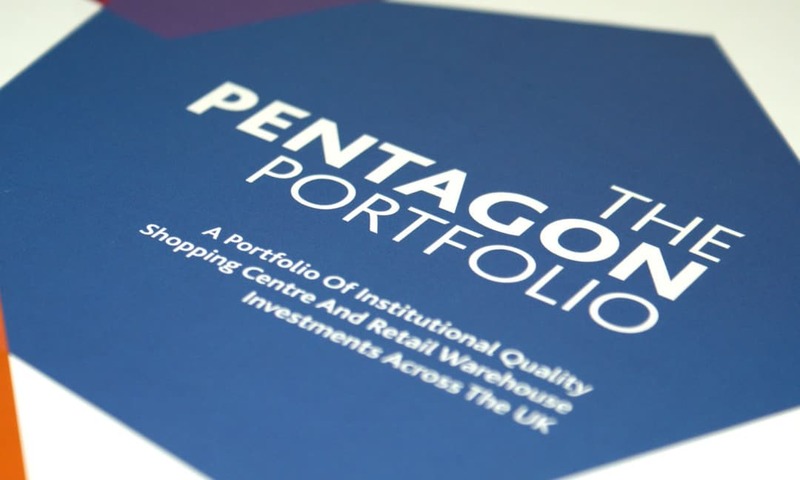 The Pentagon Portfolio comprises a unique opportunity to acquire a substantial Freehold institutional quality portfolio of two shopping centre and three retail warehouse investments across the UK. As soon as we were appointed on this portfolio, the Creativeworld team got to work organising the photography and drawing maps. While that was taking place, the studio started work on the design of the cover, presenting a number of options to the client. Once a cover was chosen, this style was applied throughout the brochure. 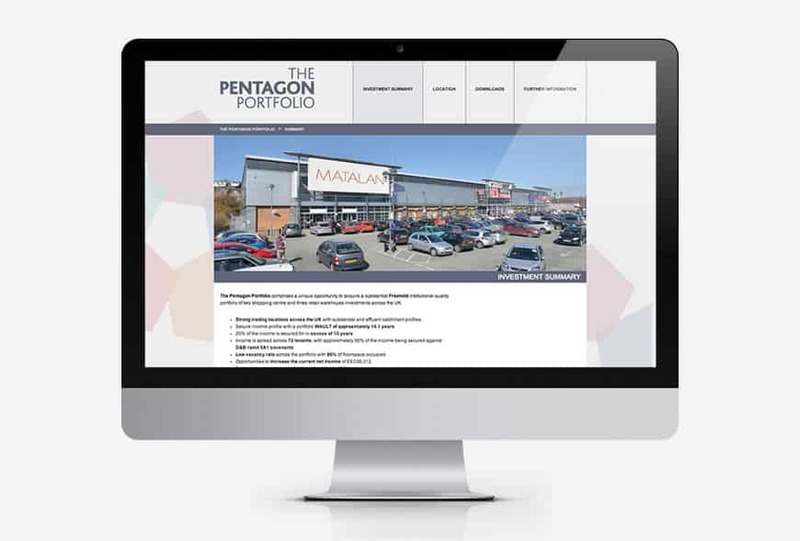 A custom built interactive website was also designed and developed by our digital team. The site included a variety of fully downloadable documentation, which could be accessed through a secure login data room. Downloads could also be monitored through a statistics segment, with site traffic readily available to the vendor when called upon. The printed portfolio was also built into an interactive brochure format. 5 property, 50 page brochure featuring bespoke outer case and inners secured by spiral bind.